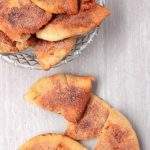 Poğaça, pronounced as ‘Poh-gha-cha, is a flatbread that is common in the Balkans and Turkey. The flatbread are plain or sometimes stuffed with different fillings. There are different kinds of Poğaça and depending on the region, they are known by different names. This particular Poğaça, Peynirli Poğaça, is stuffed with feta and parsley. 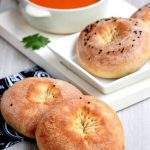 Peynir is cheese in Turkish and since this Poğaça is stuffed with cheese and herb, it is called the Peyniril Poğaça. It was interesting to read in Aparna’s blog that our paneer could have got the name from the Turkish peynir. 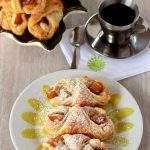 The whole word is untied by one common factor and that is food. 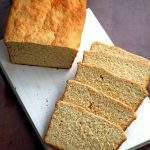 Every country has something or other similar in flavor or ingredients or cooking technique. 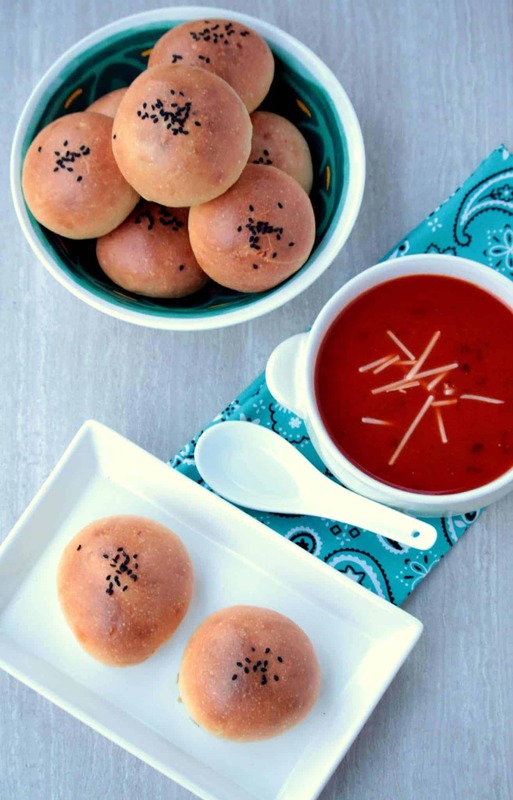 I love paneer stuffed buns and for a minute I was tempted to use paneer instead of feta in the buns. But since I was doing the specific country recipe, I wanted to keep it as close as possible to the original. 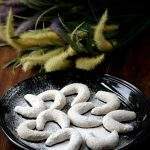 Peynirli Poğaça are very simple to make and is made with very basic ingredients. It could be a little tricky to stuff the bread with the cheese. I especially tend to get very excited and overfill the buns. 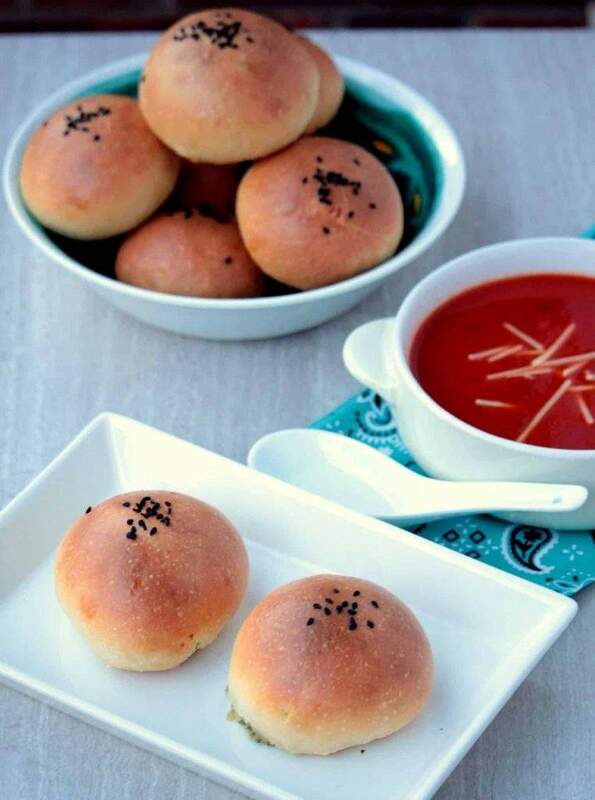 Make sure that you don’t overfill as the buns could open up when baking and the filling could spill out. I had a couple of them open up when baking. 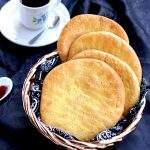 The Peynirli Poğaça are very light and works great in the evening with coffee or with some soup for lunch. I served it with soup for dinner as my boys are crazy about soup and bread dinners. 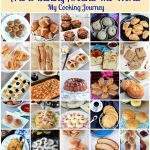 I am constantly on the lookout for savory breads to serve for dinner and this marathon had made me research for some great recipes from around the world. 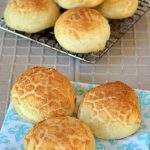 The buns are traditionally given an egg wash, but cream and milk mixture works great for it. You could use, cumin, nigella seeds or sesame seeds to top the Poğaças. I have used black sesame to give some color to the buns. Measure the milk in a bowl and add the sugar and yeast to it. 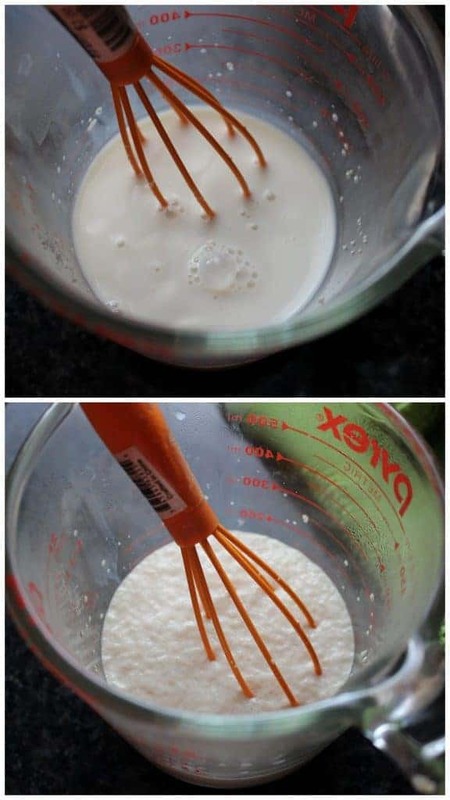 Whisk it well and keep it covered for 5 to 10 minutes. By this time, you will notice that the mixture is frothy. If not, the yeast has not activated. Discard the mixture and start with a new batch of yeast. I made the dough in my food processor. Measure the flour and salt in the bowl of the processor. 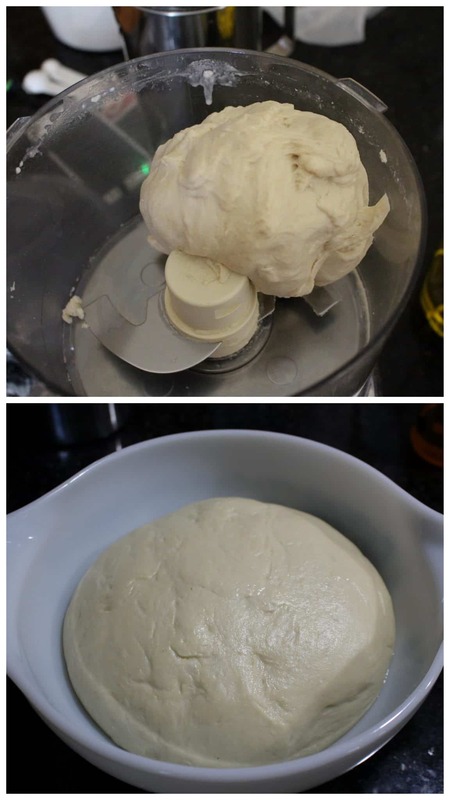 Add the yogurt, oil and the yeast mixture and process until a smooth dough forms. The dough will be quite soft, but should not be sticky. If needed, add a little more flour to adjust the consistency. 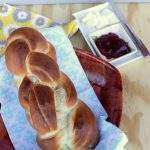 Place the kneaded dough in a greased bowl and cover it plastic wrap and then a kitchen towel. Let it rise in a warm, draft free place for about 1 1/2 hours or until the dough has doubled in volume. Mix all the ingredients mentioned in a bowl and keep it ready. Punch the proofed dough and then divide them into 12 equal balls. Working with one piece at a time, flatten the ball into a circle and place about a tbsp of filling inside the circle. 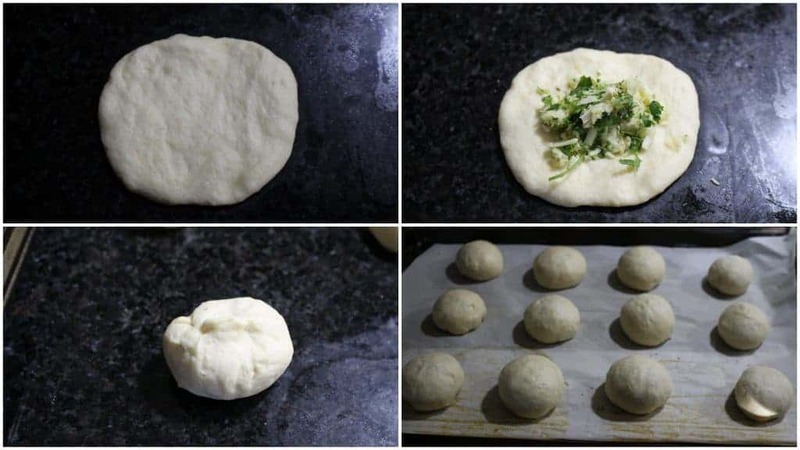 Bring the sides of the dough together and form a bun. Pinch the ends to seal well. Place the shaped balls in a parchment lined baking tray and cover with a kitchen towel. Let it sit in room temperature for 30 to 45 minutes or until slightly puffed up. 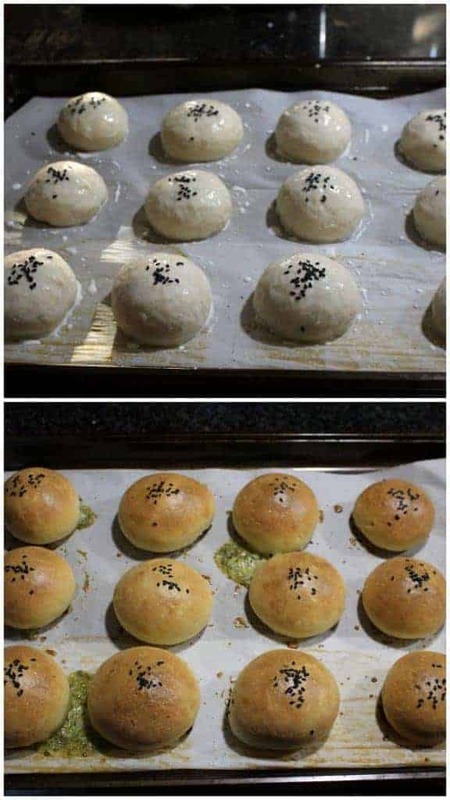 When the buns are rising for the second time, preheat the oven to 350 F.
Brush the top of the buns with cream-milk mixture and then sprinkle the sesame seeds. I used black sesame seeds for some color. Bake for about 20 to 25 minutes or until they are golden brown. 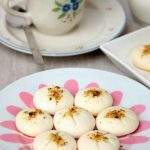 Let them cool a bit and serve the Peynirli Poğaça ! Omg, that filling tempts me to the core. Pogaca makes me hungry and am in love with those fabulous cuties. Wow! those look tempting, Sandhya. The filling is our all time favorite as well. Very inviting and tempting. Loved your write up. Agree that food is one common factor that unites the world… It’s very fascinating to see how the recipes are intertwined. Great pick sandhya. Wow, the feta stuffed buns look really amazing. Very well made and perfect round shape. 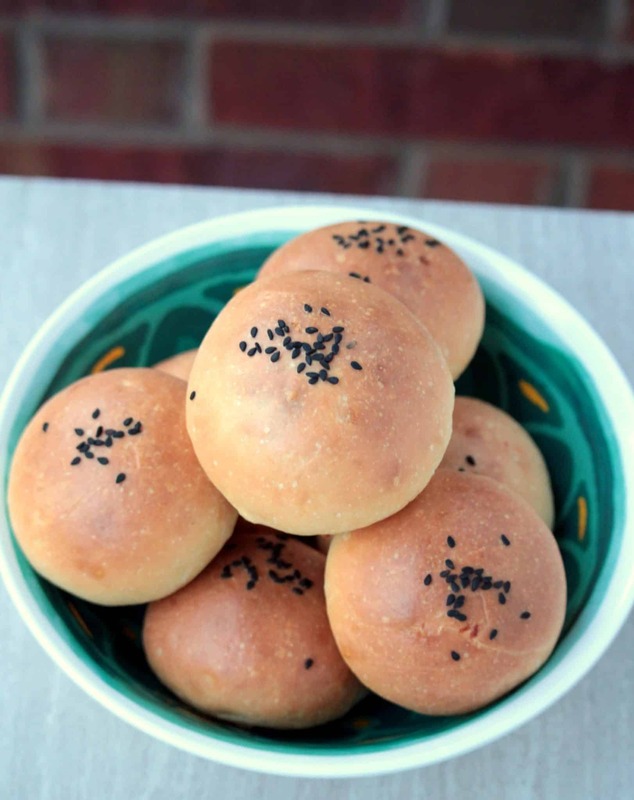 Such a pretty looking buns they are — perfectly golden crust and the filling sounds just as amazing. Buns have come out perfect.. Lovely share..